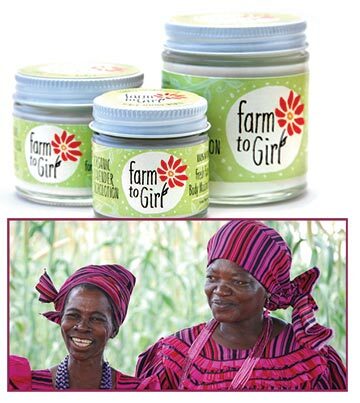 For a chance to win a FREE sampling of Farm to Girl skin-care products, tell me what color of flower would look best tucked behind your ear in the comments below. (My choice would be a red lily, or maybe a yellow rose, or maybe a pink peony or …) I’ll toss your name into a hat and draw a lucky winner sometime mid-October. For a chance to win a FREE sampling of our favorite chips, Jackson’s Honest, tell me about an inspiring company you support in the comments below. I’ll toss your name into a hat and draw a lucky winner sometime mid-October. 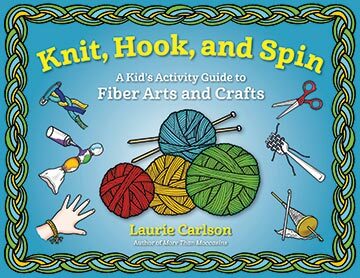 For a chance to win a FREE copy of Knit, Hook, and Spin: A Kid’s Activity Guide to Fiber Arts and Crafts, by Laurie Carlson, tell me about your favorite kids’ project in the comments below. I’ll toss your name into a hat and draw a lucky winner sometime mid-October. 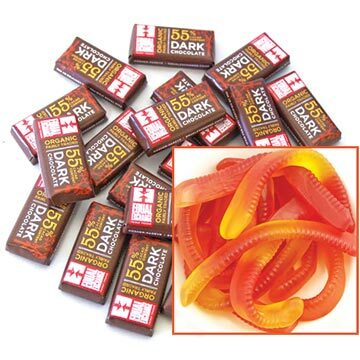 For a chance to win a FREE sampling of the Natural Candy Store’s “sweeter treats,” tell me about your favorite Halloween tradition in the comments below. I’ll toss your name into a hat and draw a lucky winner sometime mid-October. For a chance to win my one-of-a-kind harvest apron, tell me about a vegetable or fruit you grow that is your all-around favorite in the comments below. I’ll toss your name into a hat and draw a lucky winner sometime mid-October. 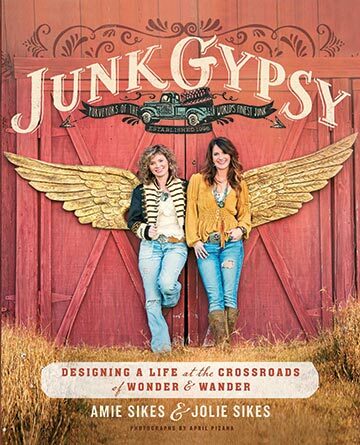 For a chance to win a FREE copy of the new book from our favorite junkers, Junk Gypsy: Designing a Life at the Crossroads (out in October), tell me about your favorite junk find in the comments below. I’ll toss your name into a hat and draw a lucky winner sometime mid-October. 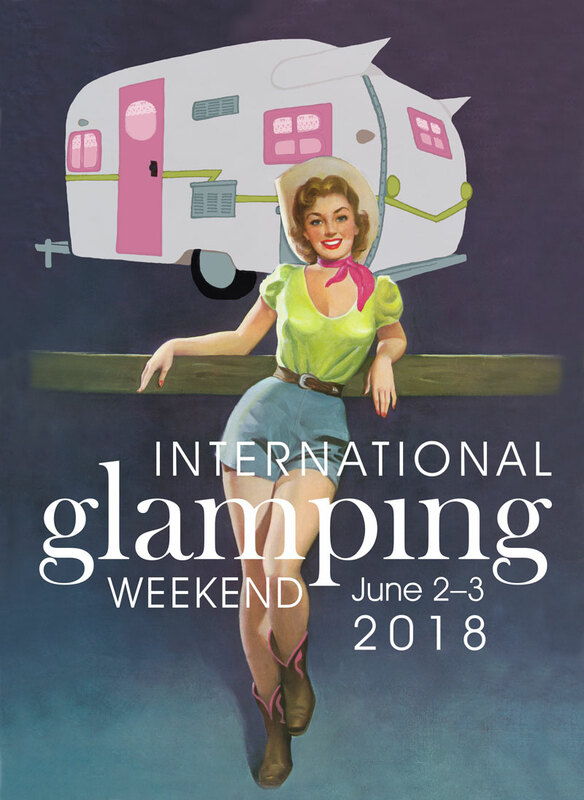 In the Aug/Sept issue of MaryJanesFarm, “Lollygagging,” I led you here to my daily journal for a chance to win some special giveaways. Following, you’ll find the winners of all three giveaways. Thank you to all who participated by leaving comments, and stay tuned for more giveaways in each issue of MaryJanesFarm. 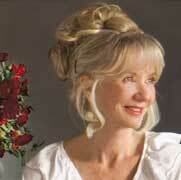 If you’re not yet a subscriber to MaryJanesFarm, subscribe here for $19.95/year.